I have now read all the Alien novels (including the novelizations). It’s been an interesting read. The novels open up the alien universe instead of closing it which has been done in the movies (Prometheus, AC). We get to travel through wormholes to other dimensions of the universe. We come to exotic worlds populated with species we have never dreamed of existing. One of these worlds is the homeland of the alien - the xenomorph. Tim Lebbon is a great writer. “Out of the Shadows” is a very good book and would make a good movie. The mine with its 9 levels (as in Hell) which you enter through the elevator is terrifying. “The Rage War” is captivating as you enter into an alien universe containing xenomorphs and predators. You come across derelict spacecraft drifting through space where, as people enter, the history is unravelled as all mutilated bodies are found. Which novel do you find most interesting/scary? Out of the Shadows, The Cold Forge (Alex White) and AVP Prey (Perry) are hands down my favourite novels from the franchises!! I agree Out of the Shadows would be an unreal movie. (Minor spoiler) That scene where the first encounter the facehuggers and return to the Marion is so f$&king intense!! Love it! TRW has the most visual potential. With its War Of The Worlds esque setting. Space battles, invaded colonies and so on. SoS is a bit like "Aliens MK2". ;) So a movie would be something along those line. PS. : I also liked Aliens: Bug Hunt. Lot of neat ideas in it. For example a little backstory for Hicks. Tiwaz: “River of Pain” was interesting since it gave us the story of what happened to the colonists on LV-426 (e.g. Newt’s parents and brother). I haven't read The Rage Wars trilogy yet chli but I have finished the latest 6 canon novels. I will read The Rage Wars trilogy eventually. I really like the ending of Alien: Covenant Origins and the other 2 novels speak for themselves and would adapt so well to film. I have just started reading River of Pain. Sea of Sorrows is my favorite. My problem with Out of the Shadows is the whole base of the story is flawed in my opinion. I feel like the Ripley character is being stretched beyond the limit line for me. I thought Alien: Resurrection Ripley clone was a FABULOUS idea, yet other fans of the franchise thought it was just stupid. I thought Ripley being woken up between Alien and Aliens, and not having ANY mention of it in any of the following movies in the franchise timeline, was a bad idea, yet from reading posts in this thread, apparently some fans thought is was a good idea. 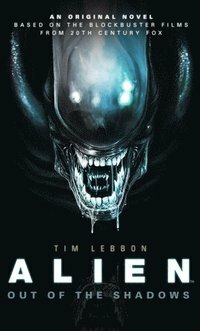 Other than how Ripley got involved in Out of the Shadows, I found the book very interesting and would definitely do great in a theater format. Still, all that aside, I still think Sea of Sorrows was better, but enough about one being better than another. Just generally speaking, I REALLY enjoyed Sea of Sorrows. It definitely is a good story and I feel like it took the franchise in a new direction by not bringing Ripley back. Still, in a way they did and that way was very creative. "I thought Ripley being woken up between Alien and Aliens, and not having ANY mention of it in any of the following movies in the franchise timeline, was a bad idea,"
I thought it was a stretch too I Moon Girl but overall the novel was great. I believe you will love Alien: The Cold Forge. I Moon Girl & Ingeniero I agree, Ripley in Out of the Shadows was unnecessary. Her inclusion was not enough to ruin the book, because her character was well written, you could almost hear her voice/tone when reading her lines. ...She was just not needed to the plot. I also enjoyed "The Rage War" trilogy a lot since, like "The Lord of the Rings", you get to follow a story and characters a long time. Tim Lebbon is quite a good writer. Some of the shorter stories in "The Complete Aliens Omnibus", Volume 1-6 (V. 7 coming in December) were also good reads.